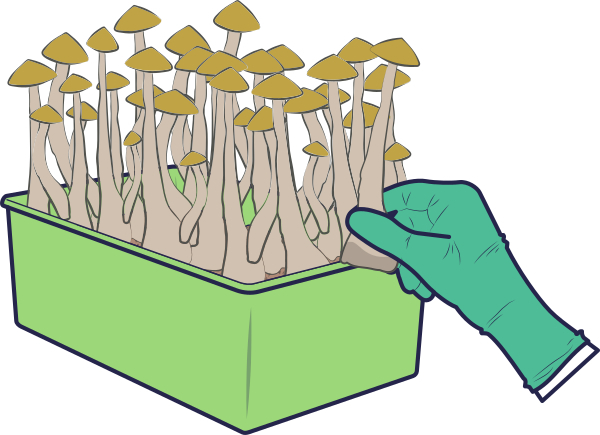 In this guide we included a universal 13 step programme to grow your mushroom kit. 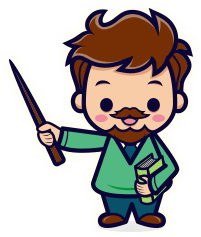 Start using the kit as soon as you receive it, or put it in the refrigerator to ensure maximum shelve life (see packaging). Must haves: a plastic bag with air filter, 2 paper clips, gloves, a spray bottle. 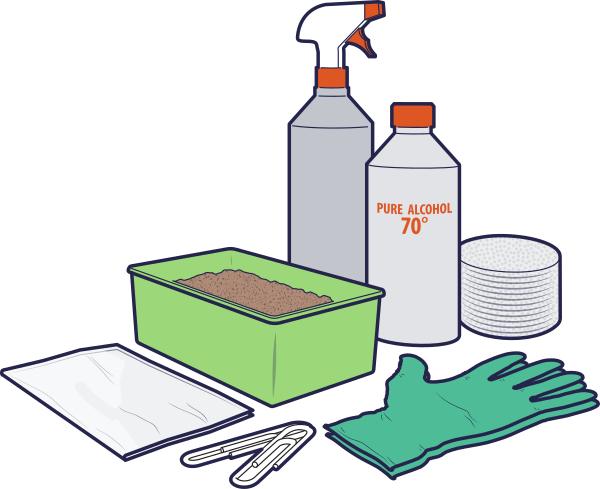 Additional cleaning tools: pure alcohol & cotton pads. 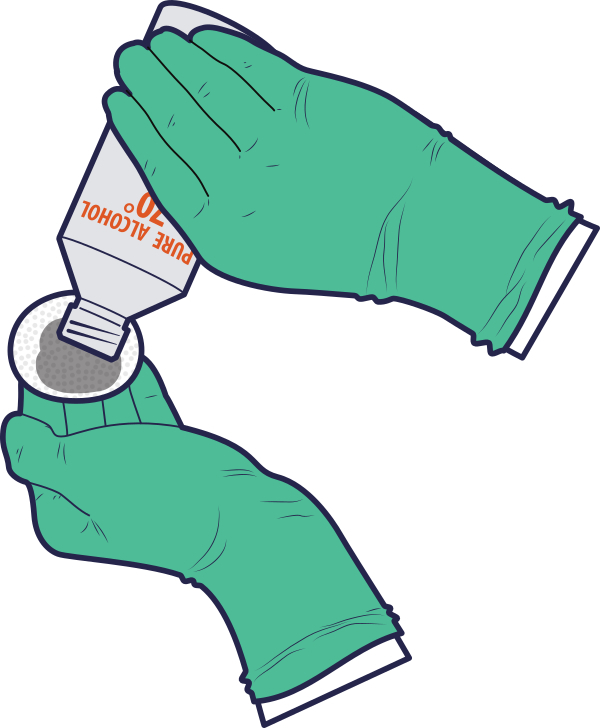 Always, clean your hands and all the materials that you use before and after each step. 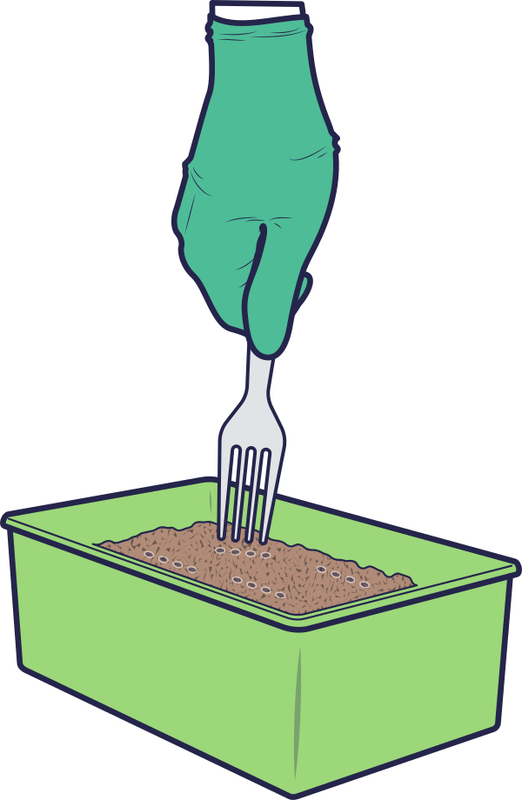 Poke holes into your grow kit with a clean fork. 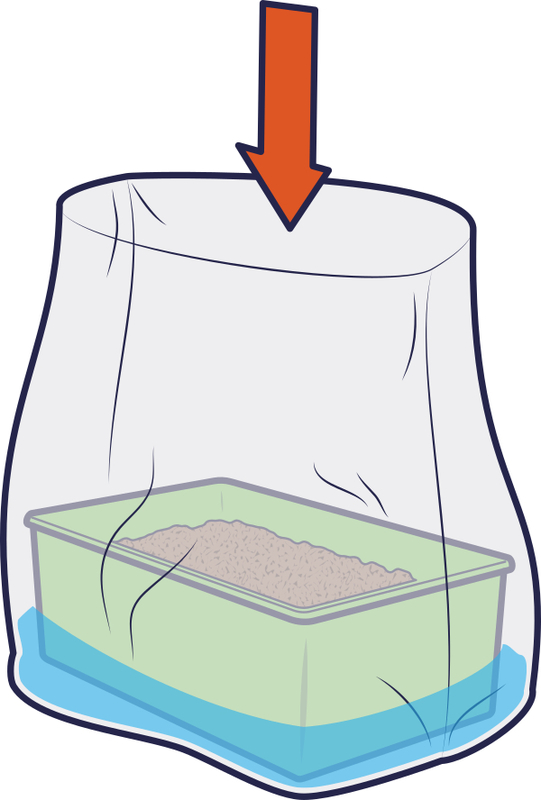 Gently fill the grow kit with water (not too warm, and not too cold). Leave as little air as possible. After 24 hours, open 1 corner and remove all the water from the grow kit. 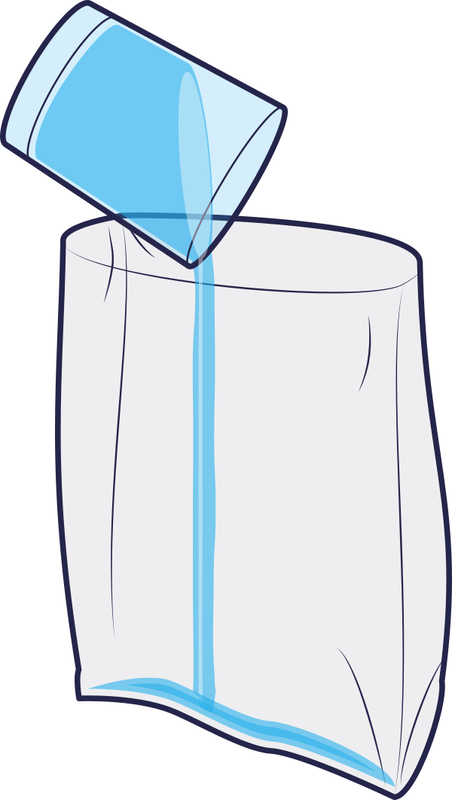 Put 1 big glass of water inside the plastic bag. Place the grow kit in the centre, not letting the mushrooms touch the water. Fold the top twice and close it with 2 paperclips. 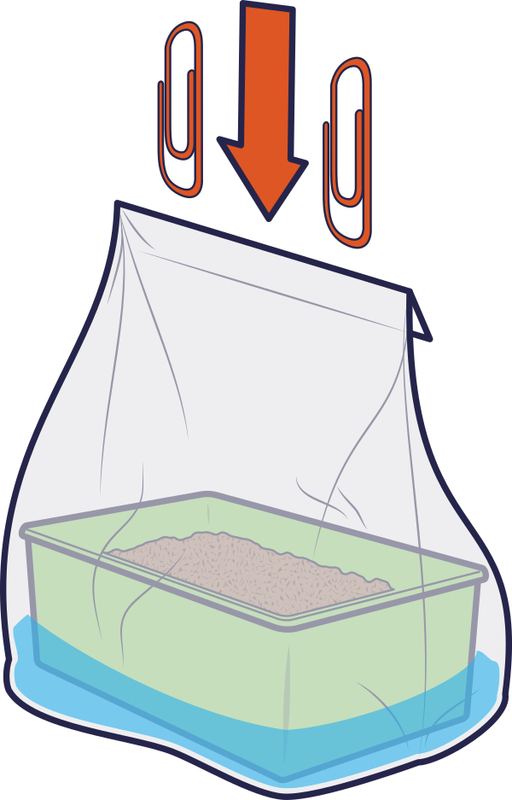 Keep your grow kit in a place with no direct sunlight. 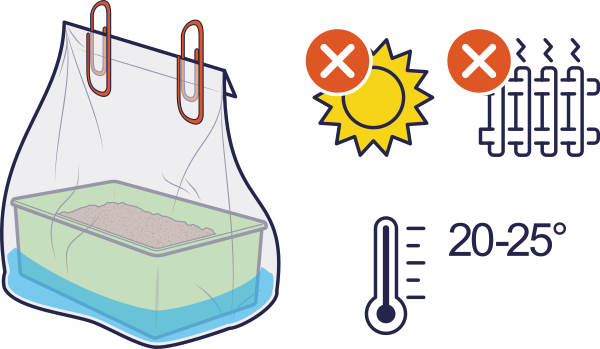 The ideal temperature is 20 to 25 C. Do not place your growing kit on a central heating source. 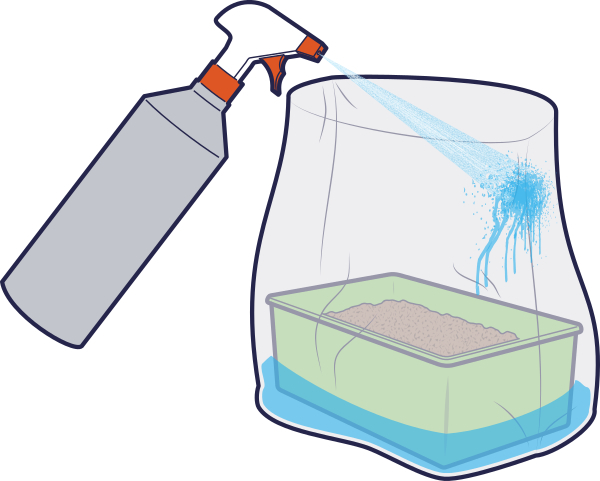 Spray the inside of the bag with water at least once a day. Warning: do not directly spray the grow kit or mushrooms. Harvest your mushrooms when the veil on the edges of the cap starts breaking a bit. Grab a mushroom between your fingers at the base, and softly twist it out. Remove all the mushrooms from the top. Don’t touch or dig into the white matter. 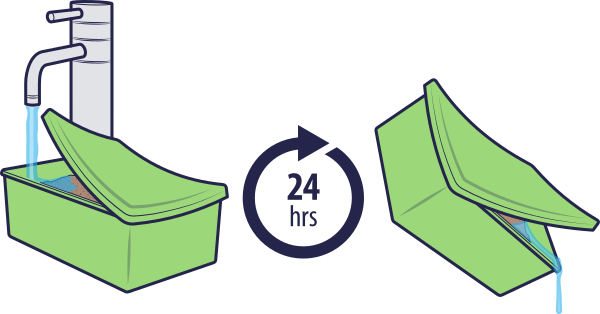 You can recycle your grow kit and “flush” another batch of mushrooms up to 3 times. Enjoy! Remember: hygiene, hygiene, hygiene. 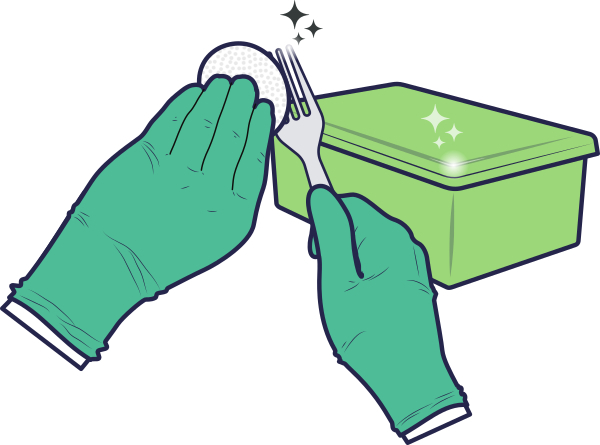 Every time you touch the bag, grow kit or mushrooms your hands or gloves need to be clean! Dry your mushrooms on some paper towel. 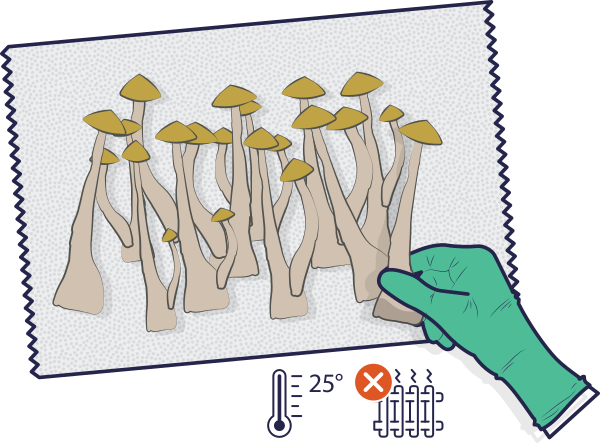 Keep the mushrooms in a warm and (if possible) dark place. Turn the mushrooms once a day until dry. Do not place your mushrooms on a central heating source. 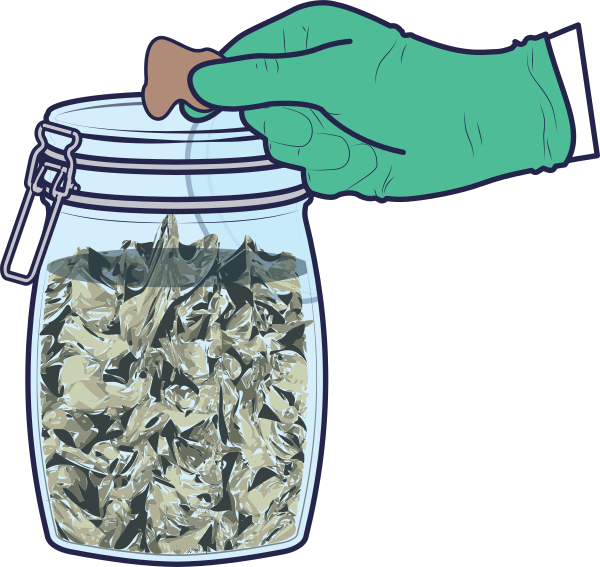 Keep your mushrooms dry and airtight. Alternatively you can put them in an airtight bag and keep them in the freezer.